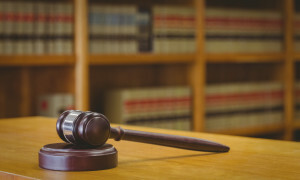 A Florida judge has dismissed Louisiana, Tennessee and Utah auto body shops’ cases against insurers despite the repairers’ objections, but they’ll have the chance to redo most of their arguments later this month. And in Utah, it seems as though they’ll have a little extra edge, based on state precedent referenced by the Florida court. Florida Magistrate Judge Thomas Smith recommended in March that allegations against the insurers for “quasi-estoppel” in Tennessee’s Brewer et al v. State Farm et al and Utah Alpine Straightening Systems et al v. State Farm et al be thrown out for good. The rest of the allegations were dismissed without prejudice (i.e., they can be refiled). In Lousiana, he recommended that accusations of violating the Louisiana Unfair Trade Practices Act and of “quasi-estoppel” in Parker et al v. State Farm et al and Southern Collision v. State Farm et al. be dismissed with prejudice but the rest of the case could be refiled. The collision repairers filed objections — a new tactic attorneys had only begun recently with an Indiana case — but Middle District of Florida Judge Gregory Presnell backed Smith’s decisions and ruled against the shops last Monday. To avoid legal repetition, a federal judicial panel has given cases from about two dozen states’ collision repairers to Presnell to hear, though each states’ own laws will apply to the decisions if they differ from Florida’s. Smith’s job is to review filings and give Presnell recommendations. Though no lawsuit so far in any state has survived motions to dismiss, the shops in the previous three states have all heavily revised their arguments to include all kinds of juicy new details, and it’s likely this will happen for these states’ repairers too. The cases all accuse insurers of steering and price-fixing and are being handled by the same attorneys: Jackson, Miss.-based Eaves Law Firm. New arguments are due in about a week. The Louisiana, Tennessee and Utah shops all objected to Smith’s view that they hadn’t met the standards to sue insurers for either quantum meruit or unjust enrichment, which are similar and have to do with a party getting a benefit without paying for it. Smith viewed the descriptions in the lawsuits of direct repair programs with insurers in the lawsuits as contracts. In the three states, if you have a contract, you can’t sue someone for unjust enrichment. However, new versions of the prior three lawsuits all call DRPs irrelevant, although the Mississippi one does say which plaintiffs had them with which company. “The Defendant insurers collectively and through exertion of their combined market share power, enforce against non-DRP Plaintiffs, non-compliant DRP Plaintiffs and other body shops as many DRP ‘concessions’ as they possibly can, either explicitly or by de facto substitute,” shops said in the Florida case. Still, shops with DRPs might have a harder time making the unjust enrichment claim stick compared to shops without them. What is a good sign for Utah repairers is that Smith wasn’t buying insurers’ argument that they hadn’t received a benefit because the shops were fixing cars owned by policyholders instead of the company. In other states, Smith and Presnell have said, the law says that the shop only benefits the person whose car they fix — not the insurer who is picking up the bill under the terms of that driver’s policy. But in Utah, ER doctors treating inmates successfully sued a county for not being paid for all the care they gave to the prisoners “over the rates at which the physicians were compensated.” Though a lower court ruled — just like in the insurance scenario — that the inmates benefited, not the county, the Utah Supreme Court thought otherwise. “The court emphasized that the ‘benefit’ requirement of an unjust enrichment claim must be read broadly, to include ‘an ‘interest in money, land, chattels, or choses in action; beneficial services conferred; satisfaction of a debt or duty owed by [the defendant]; or anything which adds to [the defendant’s] security or advantage,'” Smith wrote. Nor should it be relevant that the insurer’s duty is to pay for repairs, rather than to actually make them. If a shop repaired an insured’s or claimant’s car and then gratuitously waived all payment, the insurer would plainly “benefit” from the transaction, just as a county would benefit if a doctor altruistically disclaimed any right to compensation after providing lifesaving treatment to an inmate at the county jail, although in each case there would be no injustice and thus no recovery, see Kershaw v. Tracy Collins Bank & Trust, 561 P.2d 683 (Utah 1977). Here, auto body shops, like the doctors in EPIC, have demanded payment and (allegedly) received less than “reasonable value” for their services. What was sufficient to show a “benefit” to the county in EPIC should be sufficient to show a “benefit” to Defendants in this case. Now, that’s not the case in Florida, and Presnell also ruled, “Moreover, this claim is precluded for the same reasons expressed by this Court in the companion MDL cases” (Florida, Mississippi and Indiana). It’s unclear if he has rejected Smith’s analysis of Utah law on benefits or was talking about another part of his earlier ruling. Tortious interference with a business relationship is basically the legal term for steering. You can’t improperly come between a customer and another business. It varies between states if the person has to be actively planning on being your customer or if the wider community with whom you’d like to do business can count, too. In all four cases, Smith said more specifics were necessary, and Presnell agreed despite the shops’ objection that only the insurers had that information. In Florida, Indiana and Mississippi, the shops have fired back with fascinating specific stories of alleged steering, and this will likely happen for these four cases too. The Louisiana, Tennessee and Utah shops didn’t bother objecting to Smith’s recommendation that their conversion and Sherman Antitrust Act boycott and price-fixing allegations be dismissed for now. The antitrust allegations in Alpine, Brewer, Parker and Southern Collision are the same as in an earlier version of the flagship A&E, and so Smith recommended spiking the counts for the same reasons, and Presnell agreed. Find out more about that here. Shops in the prior three cases have backed up those allegations with many more details of how the underwriters had similar timing as State Farm on matching market rates that the No. 1 auto insurer had tried to keep confidential in the past. They also alleged that State Farm was playing with the data to get favorable rates that it applied to giant regions. That probably won’t make it into the next version of the lawsuits; the “parent” A&E has dropped the conversion argument altogether. In Brewer, the Tennessee shops had also objected to the idea that lawsuits against insurers couldn’t be brought for breaking the Tennessee Consumer Protection Act, as Tennessee law a different part of state code applied to such cases. They based the objection on Supreme Court that found that under the McCarran-Ferguson Act, the “business of insurance” exception referred only to underwriting and managing risk. But Presnell agreed with Smith that a ruling in another Tennessee collision repair case, Price’s Collision Center v. Progressive, found that the Tennessee Insurance Code applies to alleged insurance misconduct, not the consumer law, and the Supreme Court ruling didn’t apply here. Suing on the basis of “quasi-estoppel” had been rejected for good already in Florida, Louisiana and Mississippi cases, and the Indiana Autobody Association didn’t even try to argue for it in its lawsuit. Find out more about what Presnell ruled in Florida here. Presnell also killed the Lousiana shops’ attempt to sue the insurers under LUTPA, ruling that the state made this kind of dispute under the jurisdiction of the insurance commissioner.